Witchford is notable for several things. It is the location for the secondary school, Witchford Village College which serves both the local community and many other nearby villages. Since 1991 the village has hosted the Grunty Fen Half Marathon road race which starts and finishes at the Village College. The race comprises two laps that take competitors into the nearby Grunty Fen. 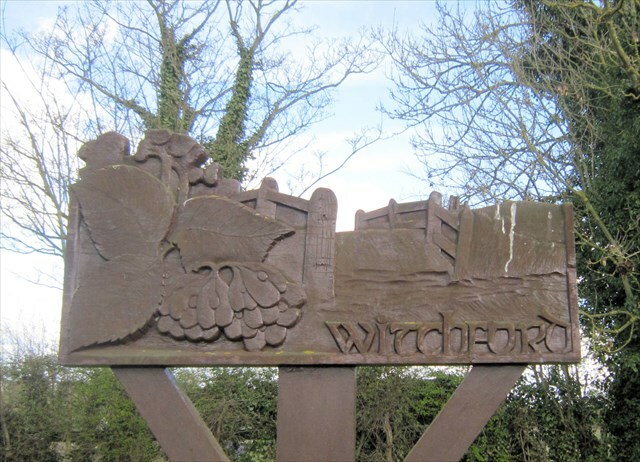 The village was once the home of RAF Witchford, an RAF Bomber Command station. It was built in 1942, closing four years later when it was broken up. It was occupied first by 196 Squadron RAF (Vickers Wellingtons) and latterly by 115 Squadron RAF (Avro Lancasters). A museum dedicated to RAF Witchford is to be found at Grovemere Building, Lancaster Way Business Park, Ely CB6 3NW. To locate the final cache you need to go to the coordinates shown above, read the plaque at the base of the sign and answer the following simple question. When was the presentation made by the Witchford WI? The answer will give you ABCD.